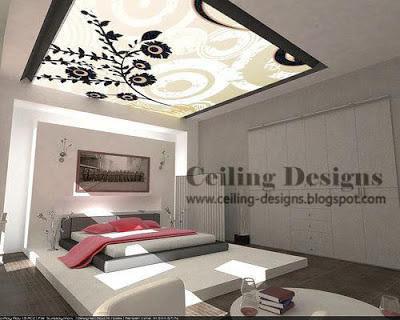 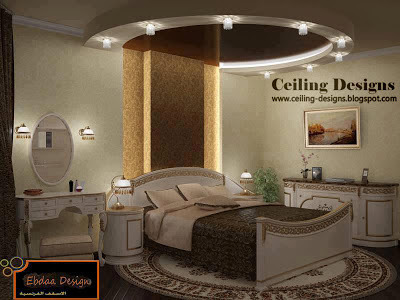 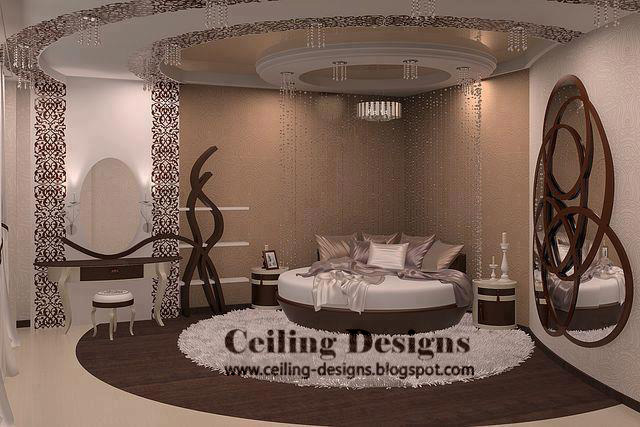 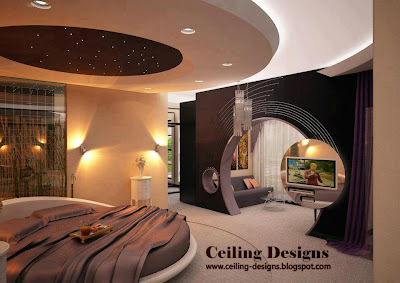 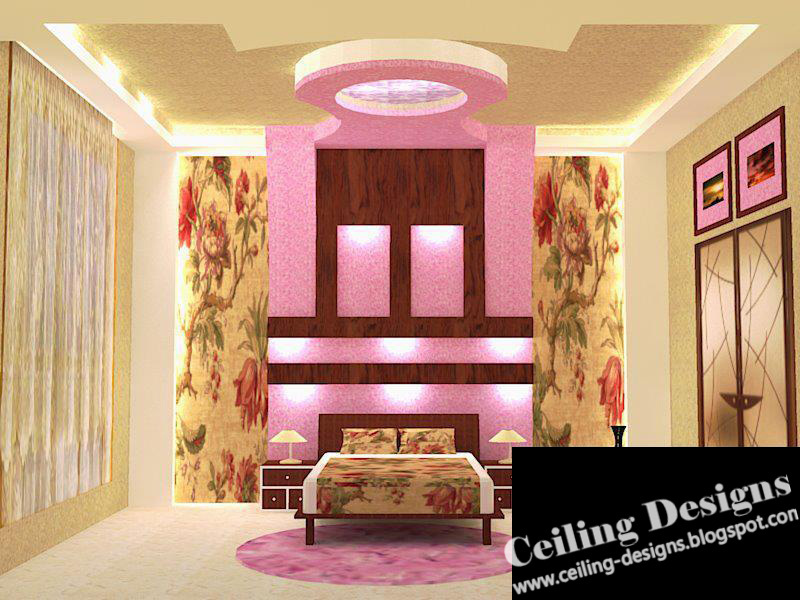 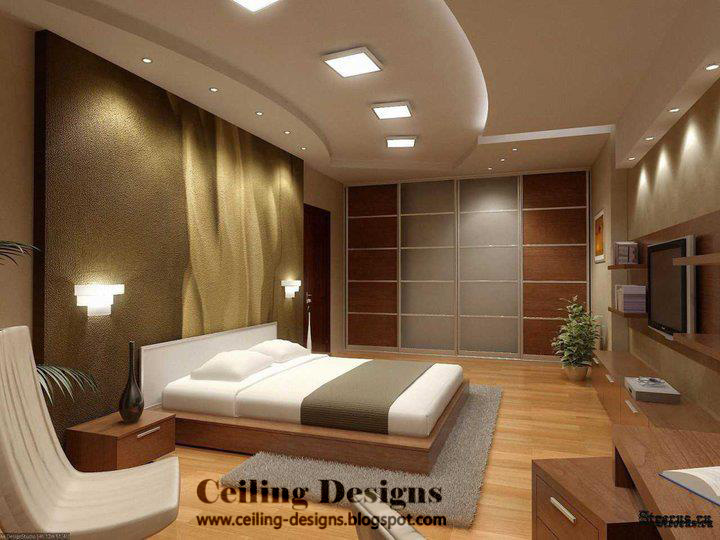 modern bedroom ceiling design , majority of that ceiling is made from gypsum , but that lighting square above the bed is made from glass, with decorative paintings. 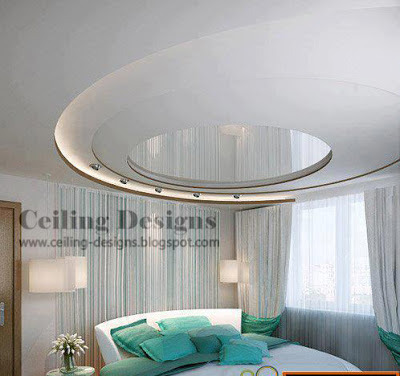 amazing spiral view, white spiral part is made from gypsum , in the center of ceiling there is circular mirror and lighting spots , that ceiling make amazing view for bedrooms . 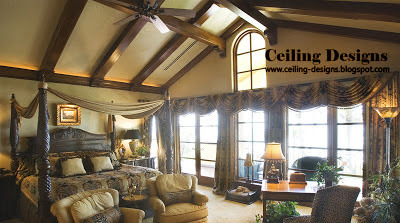 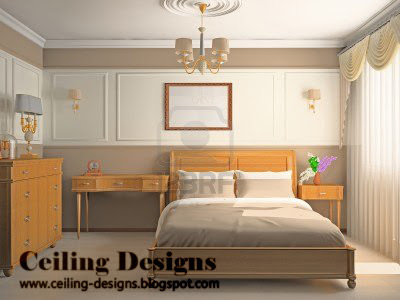 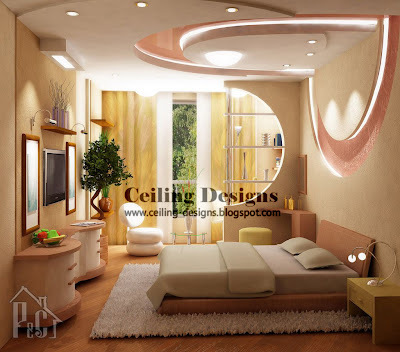 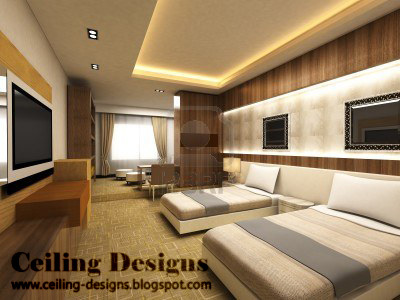 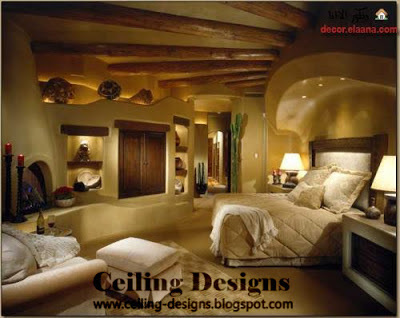 easy method to decorate your bedroom gypsum ceiling , with simple wood ceiling panels and rustic ceiling fan , that bedroom ceiling design is suitable for bedrooms that have classic wood beds. 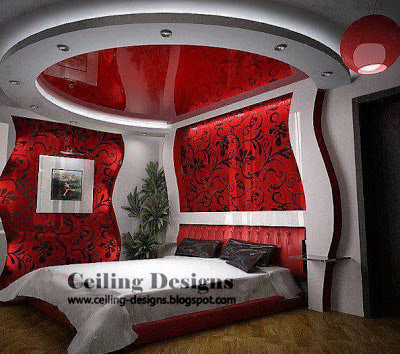 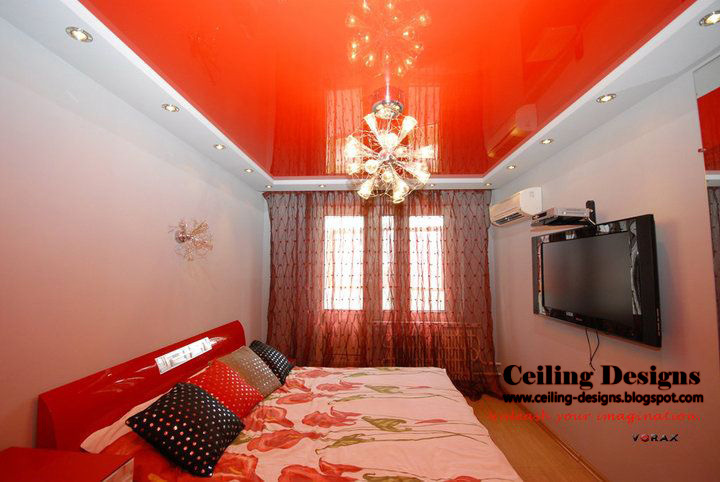 circular stretch body red colored, and tin frame with lighting spots, make that romance circumstance , that bedroom ceiling design is suitable for bedrooms in modern house. 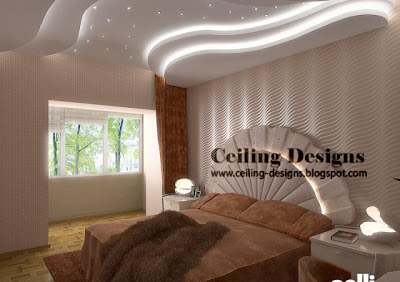 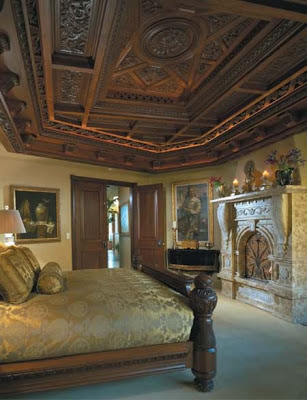 by rustic wood ceiling panels you can decorate your bedroom gypsum ceiling to make this view, that circumstance is mix from romance and calm.